What Have I Gotten Into?! Finalizing our baby registry so I don’t have to think about that when we are moving and settling in. Trying to push through the pregnancy aches and pains. The tummy stretching is crazy. I am slathering on the Bio Oil to try to defend myself against stretch marks (for whatever good it does!) I roll over in bed and it feels like a knife in my side. Round ligament pain sounds like such a nice, friendly term for such an uncomfortable feeling. This is all very exciting….I’ve wanted to have a baby and own my own home for my entire adult life, so I feel very blessed. But it’s a little overwhelming too. 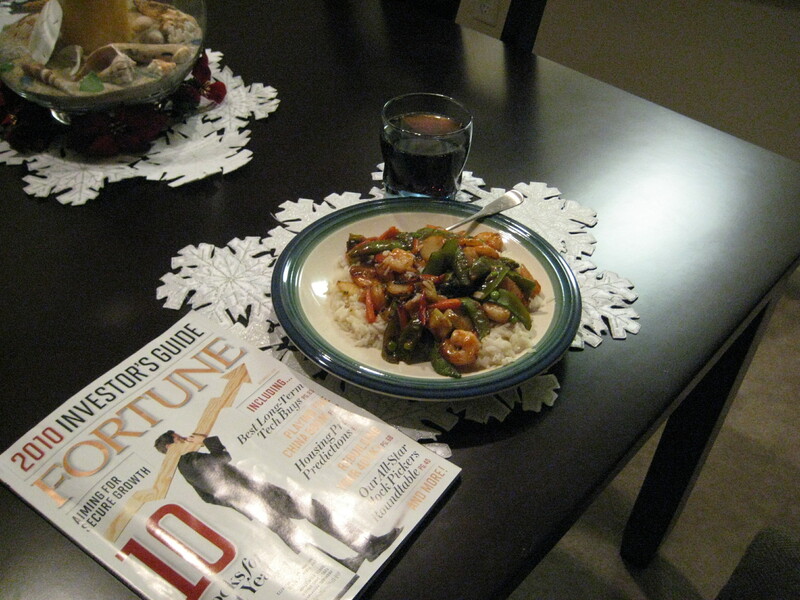 They say you shouldn’t comfort yourself with food, but let’s face it….food is comforting! I’ve been falling off the gluten-free wagon quite a bit lately, giving into my cravings. 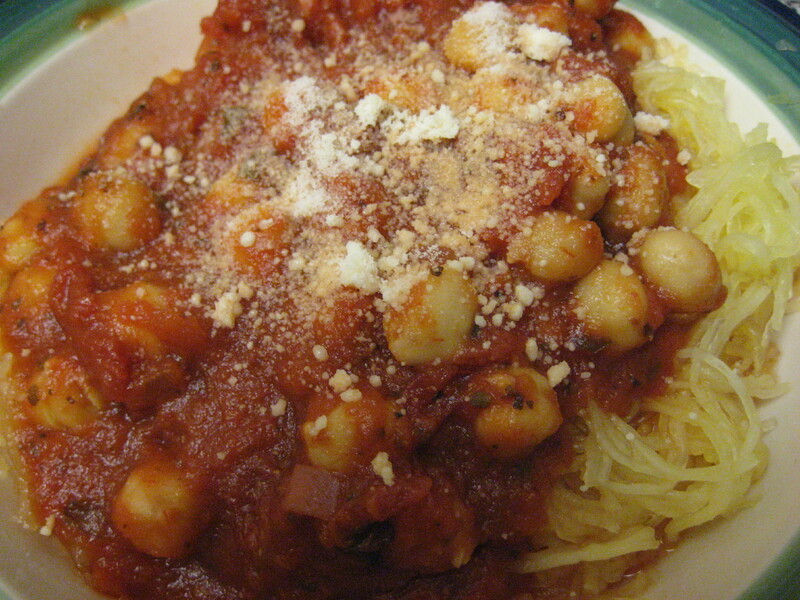 There are some things I have found great gluten-free substitutes for…. 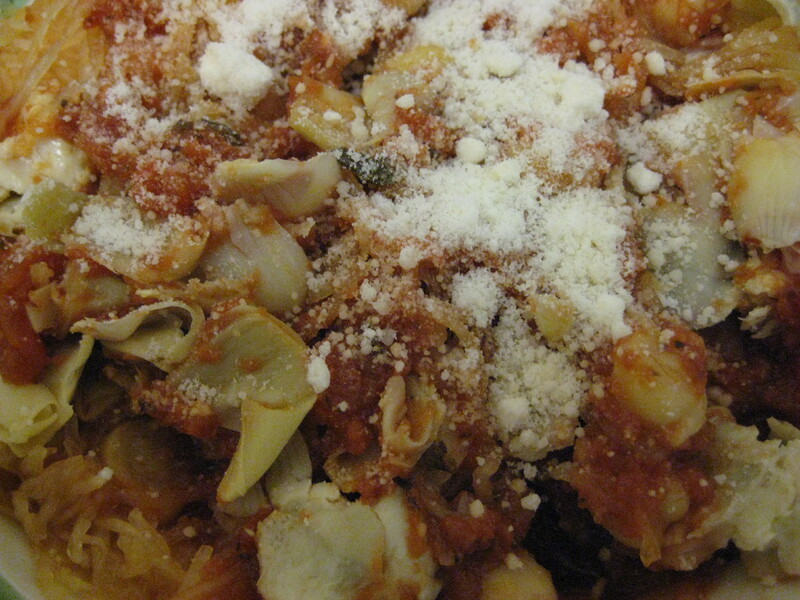 pasta for example. 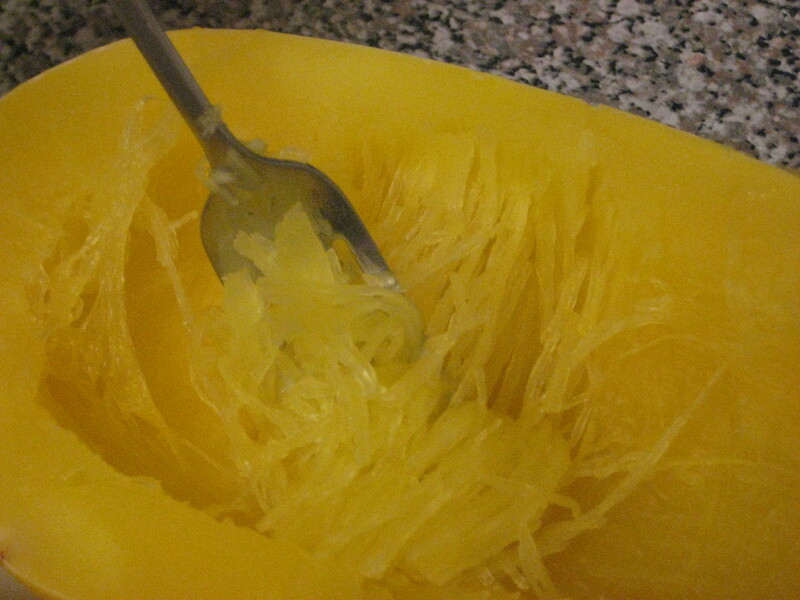 As much as I love the real thing, I am satisfied with rice pasta, shirataki noodles and spaghetti squash. 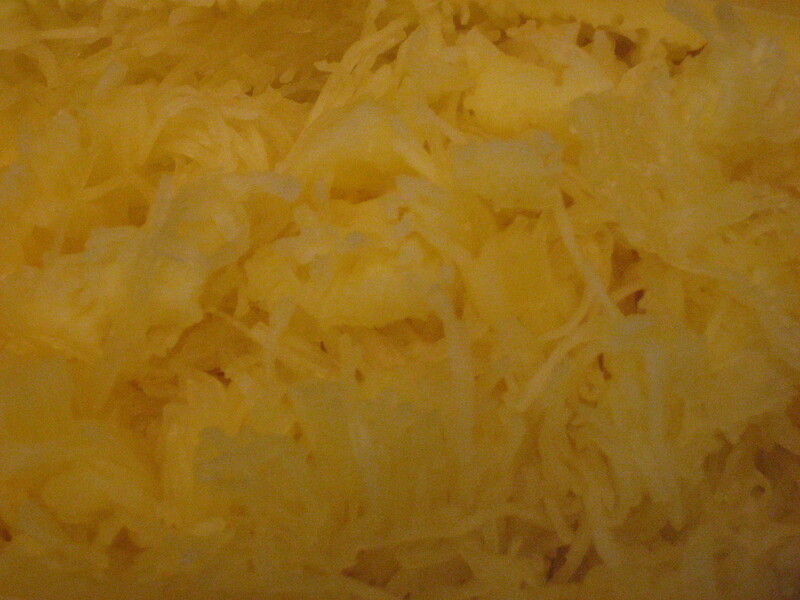 I have also found Chebe to be a great mix for gluten-free pizza dough. And using polenta as a crust is also very satisfying. But bread is another story. And wraps! 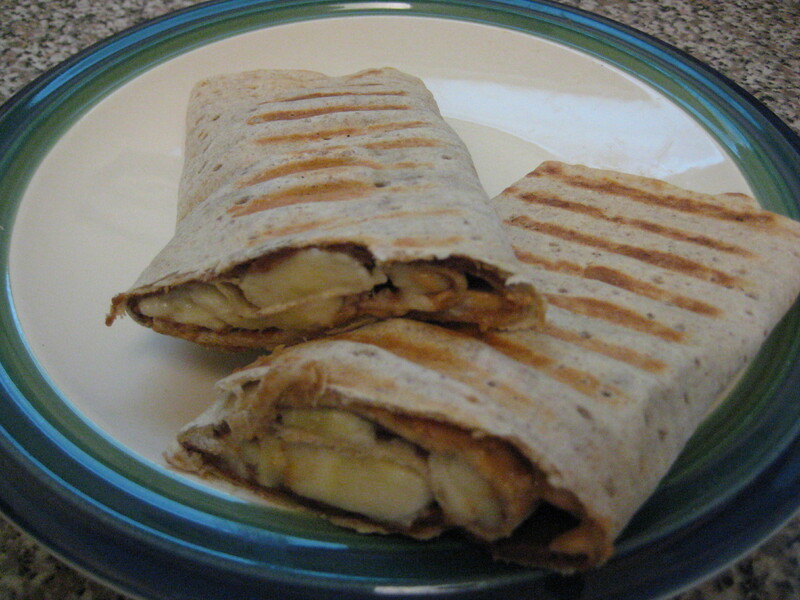 I miss wraps! 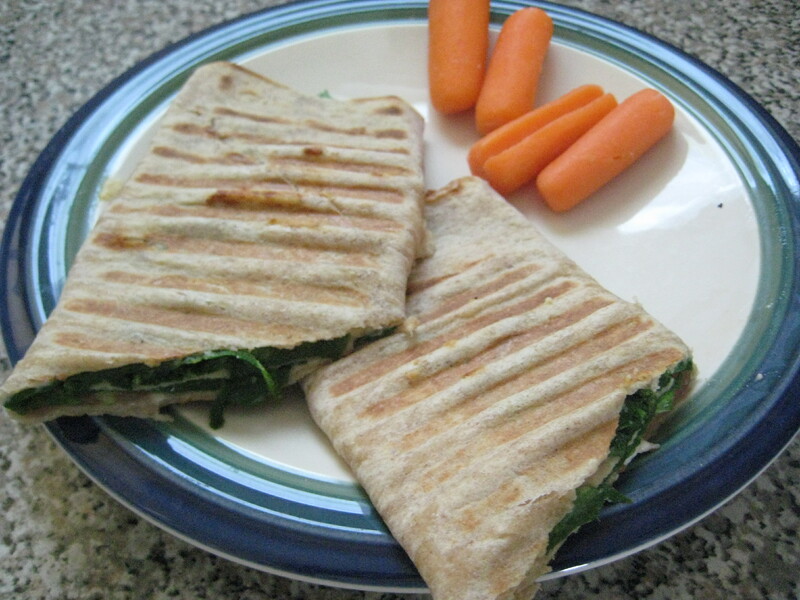 Especially Joseph’s Lavash wraps made into a paninis. I have found no satisfying substitute. So this week, I broke down and bought a package. Enter my new simple concoction! I brewed some decaf coffee and let it sit in the refrigerator until cold. 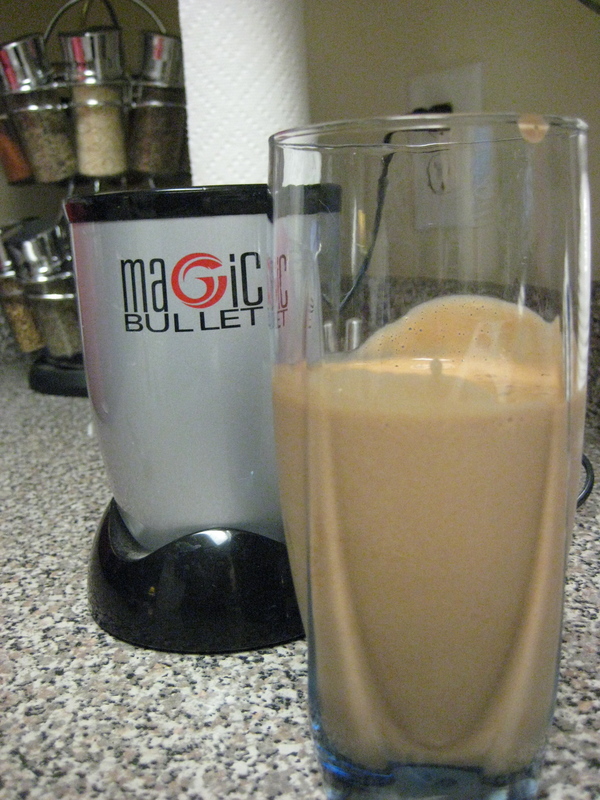 Then I added it, along with a scoop of Light Vanilla Muscle Milk protein powder, a dash of xanthan gum, and a large handful of ice to my Magic Bullet. Magic is right! It was thick and creamy and very satisfying. And 100 calories too! Dave is going to be home in just a couple of hours so I am going to cram in a bit of studying and a phone chat with my mom before he arrives. Have a wonderful Friday everyone!